What have Big Boi songs meant to you? 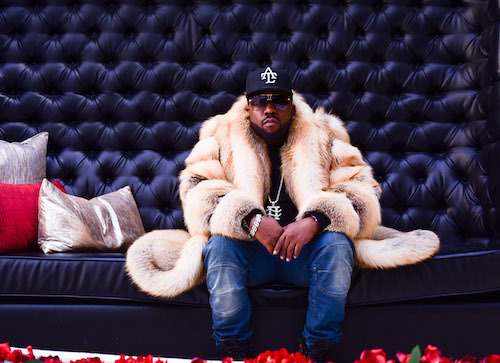 Whether on his own, or as part of the revolutionary duo Outkast, Big Boi has played a major role in shaping hip-hop for over 25 years. We want to know what his songs have meant to you. We invite you to take a few minutes to fill out the form below and tell us which song has been especially important to you, and why. By submitting your story above, you hereby represent and warrant that your story is your own, original story and does not violate or infringe the rights (including, without limitation, the copyright, trademark or right of publicity/privacy) of any third party. Additionally, by submitting your story, you are granting Mammoth Media, Hitco and Big Boi (collectively, "Licensee") an irrevocable, royalty-free worldwide license to use your story in a Yarn story and/or to reproduce and display your story, or any version or derivative thereof, on each of Licensee's websites and on each of their social media pages, in perpetuity. We may also reach out to you with a follow up question or two if you don’t mind.